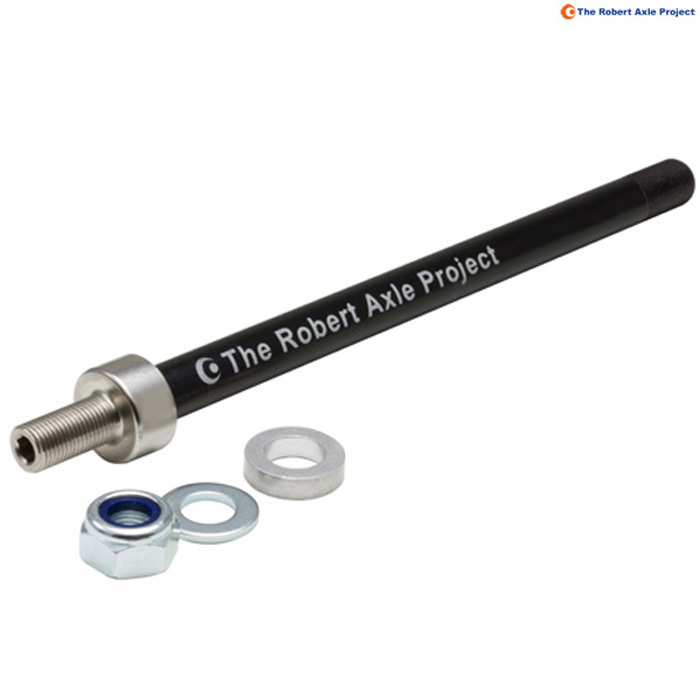 - The true length of this axle shaft is 180mm long. This axle comes with a 6mm thick flat spacer. So this axle can be 180 or 174mm long depending if the spacer is used. Was struggling to attach a kiddie trailer to my Stanton Switchback, which has replaceable dropouts and are quite an odd shape with no flat surface. Got recommended the Robert Axle Project by my LBS. Perfect fit first time and can now take grandson or dog out with us on longer adventures. I have a specialized levo. Do you have a through axle to fit so I can attach a bolt on dog trailer?